Recently, I faced “DNS Probe Finished No Internet” Error on my Windows 7 Laptop, Chrome browser but it was working correctly on my Android Smartphone. I was using the same BSNL broadband Wifi Internet connection on both devices, and I was too much frustrated because of this. Firstly I think, there is something error with my Google Chrome browser or with my Windows Laptop. Then, I checked for some solution for this issue, but I was not able to get a better solution to this issue. It took much time to understand that this is one kind of DNS server error from my end and finally I solved that error. But I noticed that many people are searching for a solution for the same issue. While analysing, I found few keywords like DNS Probe Finished No Internet or DNS_PROBE_FINISHED_NO_INTERNET Windows 7, 8, 8.1, 10, Android error fix, etc. So, I decided to write the best guide for this error. As I mentioned above, For me it was just a DNS error, and which was able to solve it quickly, it can also be caused due to some other issues. I will cover 8 different methods to resolve this issue and hope anyone of these will solve your problem. Some users are also facing the same effect on their Android smartphones too, they can also try the below methods. So, below I will share 8 different methods to solve This Webpage is not available – DNS PROBE FINISHED NO INTERNET error, If you are not able to get a solution from the first method then make sure to check out the other ones, you will surely get a proper fix for this issue from any of the below ways. So, I hope you got some idea of the different ways then, let’s try the detailed guide to each method. You can easily solve this issue with the help of the command prompt. Search or Type ‘cmd’ in the windows search and right-click on the search result, command prompt and select ‘Run as administrator. and press “Enter” and just restart your pc/computer. You can refer the above video if you face any error. Mostly, this simple method will remove No Internet Error and if you still face the same issue after reboot then, just check the next method below. 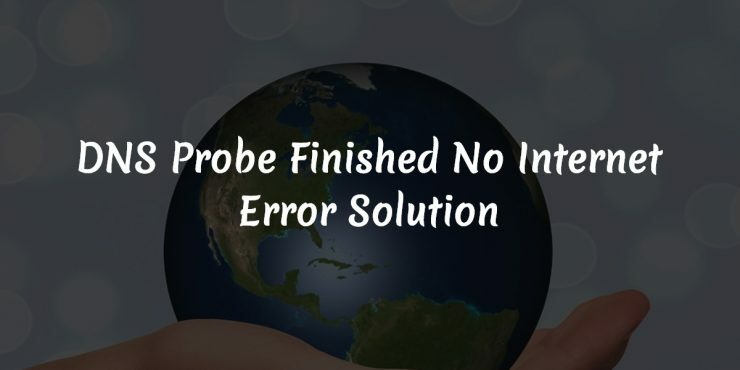 This is one another simple method to solve the DNS_PROBE_FINISHED_NO_INTERNET error. In this method, we have to change the DNS of your computer or system to Google DNS. So, follow the below steps to do it. Firstly, you have to open Control Panel and select Network Connections from the list. On Windows 10 PC, you right-click on Windows Logo at the left side and you can find the Network Connections option from that. On other Windows, you can open that from the Control Panel. Next, you have to find the “Internet Protocol Version 4” option and again select that option and click on properties. Now you can see 2 option there, “Obtain DNS server address automatically” and the other one “Use the following DNS server addresses”. You have to select the option ‘Use the following DNS server addresses’. Choose any one set of values (above) and use that in those fields. (Refer screenshot) and click on ‘ok’. Now restart Chrome (browser) and still you are not able to access the Internet then, just check any other method below. Next method is Using Command Prompt to Release and Renew the IP address. For this open command prompt by Searching ‘cmd’ in the windows search and then right-click on the search result and then select ‘Run as administrator. press “Enter” and restart the computer. After restarting, check the internet connection, if it’s not working then try any below methods. You may also recent articles, iPhone Emulators For PC and Methods to Bring Google’s View Image Option Back. Check these articles and let us know your suggestion and queries with a comment. In this method, you have to reboot or power cycle model/router from the (router) settings. Accessing the router setting may differ in each brand. You can refer the below list to know your router settings URL and the default username and password to login the router settings is “admin”. After login, select “System tools” and select “Reboot” then, click on Reboot again. Now to power cycle your modem, simply unplug from the power supply and wait for 5-10 minutes and then again plug it. Now again, check if your PC is able to connect to the Internet or not. If failed, please check any other method. 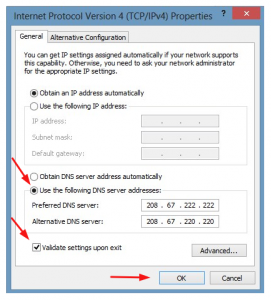 Here is one another simple method to solve the DNS Probe Finished No Internet error. 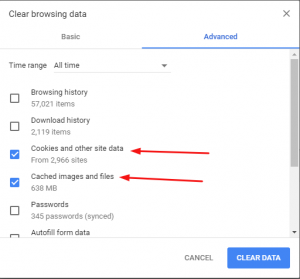 You just need to clear the browser cache in this method. Follow the simple steps below. Here am using Google Chrome browser as an example. Hope the above method worked for you. If you still face the same issue then please try any other method. If the above method is not working then, you can simply reset or reinstall your browser or you can try any other browser. To reinstall the chrome browser, go to control panel and select “uninstall a program” then select Chrome from the list and uninstall it. Now, again download Google Chrome browser and install it. Hope it will work for you otherwise, you can try any other Internet browsers like Opera mini, Mozilla Firefox, UC browser, Safari or anything else. You can download these browsers easily from their official sites for completely free (just do a Google search). Sometimes checking and updating the drivers can resolve this error. So in this methods, we are checking the driver updates and download the latest updates. Just follow the simple below steps. If you are using any kind of web monitoring or filtering apps installed in PC then, I recommend disabling or uninstalling that specific app and try to connect Internet again. Sometimes this error may cause due to any web monitoring or filtering application installed in the computer. Web filtering applications such as COMODO firewall app, a custom firewall application may lead to the DNS_PROBE_FINISHED_NO_INTERNET Windows error. So, it’s better to try after disabling that. So, I hope this method worked for you otherwise, you can try any other methods above. 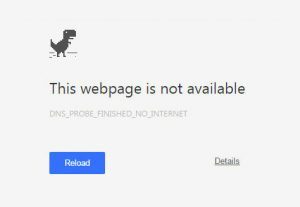 I have shared 8 simple methods to solve this No Internet error. I hope it helped to resolve that error that you were facing. If you still face any error or have any queries then, feel free to comment below and Don’t forget to share this article with your friends. I will be really happy to know the method which worked for you.